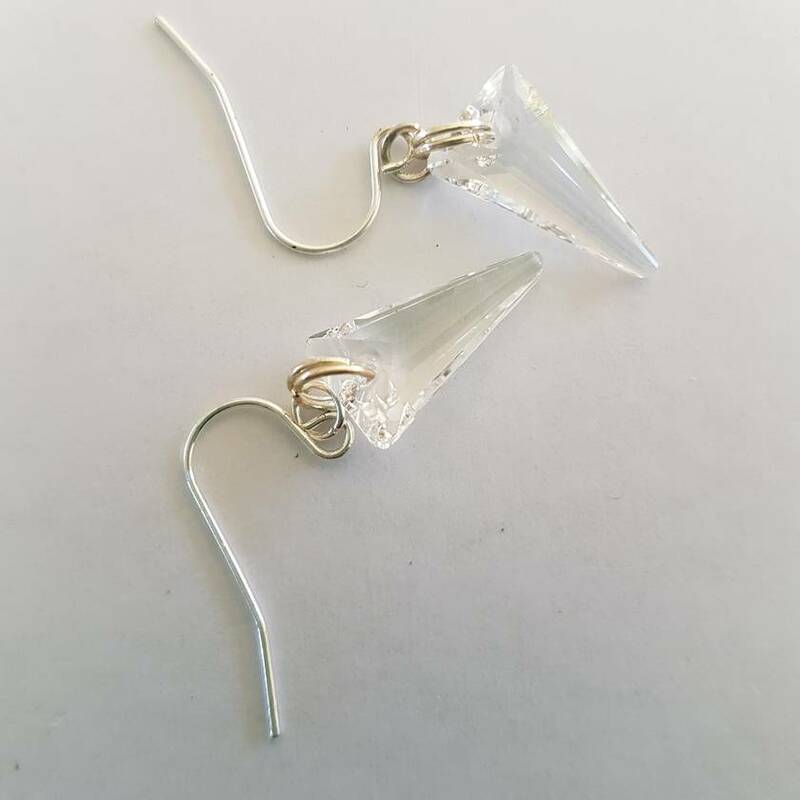 Stunning spike earrings. Crystal clear Swarovski 18mm pendants with silver plated findings. These would be lovely with the spike pendant necklace. Contact mariegurl to enquire about payment or shipping options.